In southern California, if you are arrested and charged with driving under the influence, arrange at once to consult with an experienced Orange County DWI lawyer. Understand, however, that a fourth DWI charge after three convictions is a felony in California, and if you are convicted, the penalties will be quite serious. If you’ve been convicted of DUI four, five, or more times, you may have an issue with alcohol, and it’s probably a good idea to seek some counseling. 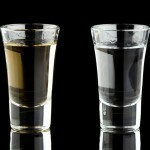 You can avoid DWI in the future just by quitting alcohol. 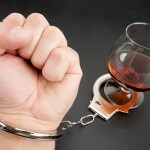 People who don’t drink do not get in trouble for DWI – usually. But if you have been prescribed pharmaceutical drugs by your physician, it’s more complicated. You can’t just “quit” your medication the way you can quit drinking. Your medicine is medically necessary, but just because it’s needed, prescribed, and legal, that doesn’t mean that you can drive while using it. 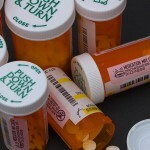 Many if not most prescription drugs – and dozens of over-the-counter medications – can impair your driving ability. Driving while using these drugs could get you charged with DWI or worse – you could cause an accident, injuries, and even fatalities. If you are taking prescribed medications, share any concerns with your doctor, and have your doctor explain how the medicines will affect you. Always read the instructions and warnings that come with any drugs; you can go online to learn even more. If you are arrested and charged with a prescription drug-related DUI in California, it’s just like any other DWI charge. Exercise your right to remain silent, and politely insist on having an attorney present before you answer any questions. If you’re charged with driving under the influence in Orange County – for any reason – get legal help immediately. Let an experienced Orange County DWI lawyer handle your case and fight for justice on your behalf. After a DWI arrest, make the call promptly.